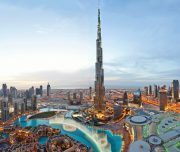 Dubai is a unique destination that is both a dynamic business center and a tourist paradise, offering more attractions, shopping, fine dining and quality hotels. From the timeless tranquility of the desert to the lively bustle of the souk, Dubai offers a kaleidoscope of attractions for visitors, from rugged mountains and awe-inspiring sand dunes to sandy beaches and lush green parks, from dusty villages to luxurious residential districts and from ancient houses with wind towers to ultra-modern shopping malls and finally “The paradise of duty free shopping”. 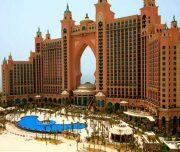 Now Book a tour to Dubai of 5 Days and 4 Nights with the lowest price ever. Satisfy your thirst for traveling to the Modern Arabia with our amazing yet affordable tour package. 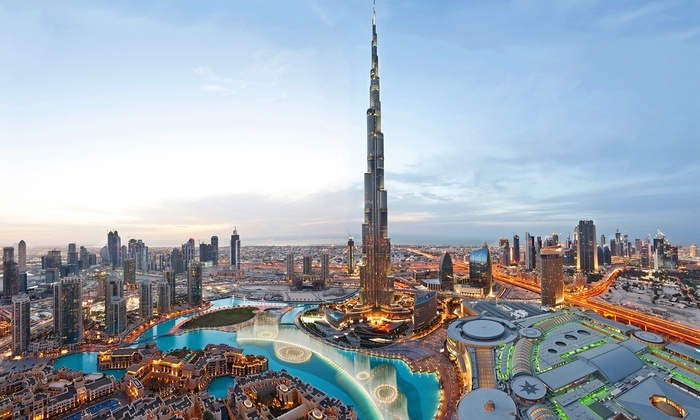 4 Nights’ accommodations with breakfast in a 3-star UAE single entry visa. Meals as specified in the Itinerary. Dhow Cruise with Dinner. Entrance to the 124 floor of Burj Khalifa. 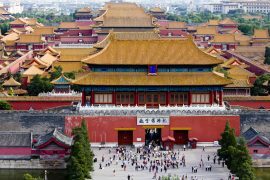 Additional sightseeing that not mentioned in the inclusions. Any other cost which is not mentioned in the tour cost inclusions. Arrival Dubai &Check in a hotel by 2 PM. Evening you will be stepping on board a typically Arab boat called a show for a dhow dinner cruise in Dubai. Cruising along Dubai Creek, these sturdy boats are fantastic for a romantic dinner or simply for relaxation. 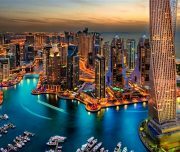 During the cruise, you will come across spectacularly illuminated structures like the National Bank of Dubai, the Chamber of Commerce & Industry and Sheikh Saeed’s House. 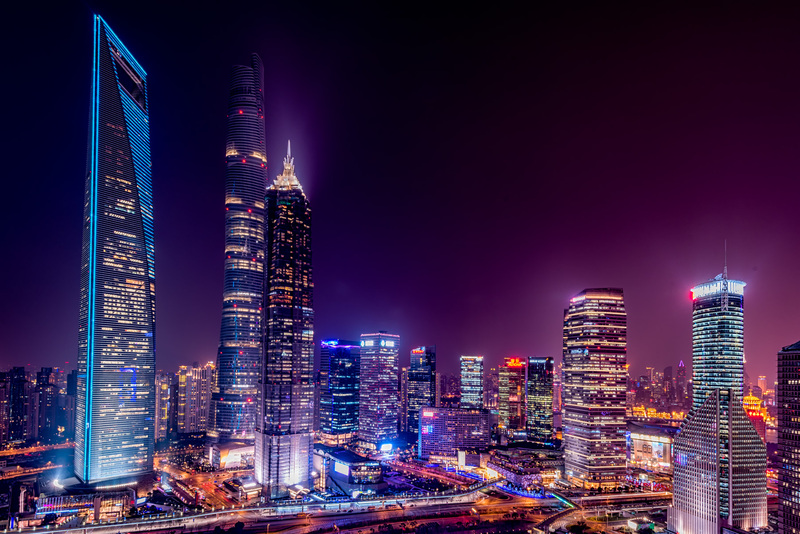 Enjoy these sights while partaking a delicious buffet dinner and an excellent selection of beverages. After that, back to the same hotel. After the breakfast, we proceed to an orientation tour of Dubai. Dubai’s unofficial symbol, the picturesque Jumeirah Mosque is one of the most beautiful modern Islamic Dubai’s quaint old quarter and houses and the famous Al Fahd Fort, now converted into a museum, Palm etc. 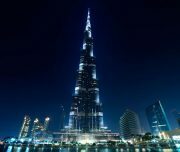 Afternoon enjoys the heights of the tallest tower in the world with an entry to the observation deck at the 124 floor. After lunch proceeds for the largest seasonal cultural extravaganza in the region that offers visitors an amazing array of festivals, shopping, and entertainment in an open-air theme park with pavilions from several countries and shows from around the world. The program starts from the evening and every moment of it will be amazing. 8 PM depart Global village and reach the Dubai mall to enjoy the spectacular Musical Fountain. Return to Hotel for Night stay. Morning visit the Miracle garden which showcases a wide variety of different flowers that are arranged in different shapes, making it the world’s largest natural flower garden featuring over 109 million flowers planted. The blooms of these flowers have been fashioned to look like hearts, stars, igloos, pyramids and other figures. The floral patterns will change with the season. 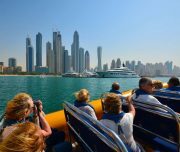 After Lunch starts your adventurous Dessert Safari at 03.30 PM and this program will be the highlight of your tour to Dubai and a memory to share with your family and friends back home. Start your journey late afternoon to the nearby desert and stop for several photo-stops. 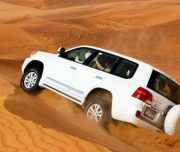 Later start with exciting dune drive on the 4wheel drive vehicles across the desert and also stop to watch the beautiful sunset before reaching our campsite where you have the opportunity to do a camel ride, sand boarding and try out a henna design on hand or feet. Later you will be entertained with a delicious BBQ dinner and a wonderful belly dance performance. The fourth day is completely yours that means you can do whatever you want to do and shop Dubai. After breakfast start for Abu Dhabi city tour. – Before entering the city of Abu Dhabi we drive past the stunning “Grand Mosque”, officially known as the Sheikh Zayed Bin Sultan Al Nahyan Mosque. It’s the largest mosque in the UAE, clad in luxury marble and gold, it is designed to accommodate more than 40,000 worshippers. We drive past the “Emirates Palace”, an enchanting landmark that’s a wonder to behold for all who venture through its magnificent gates. Following this, we drive through Yas island passing the world famous Yas Marina Circuit, home of the Formula 1 Race, and Ferrari World. At the dusk, we drop you at Airport for your return flight. 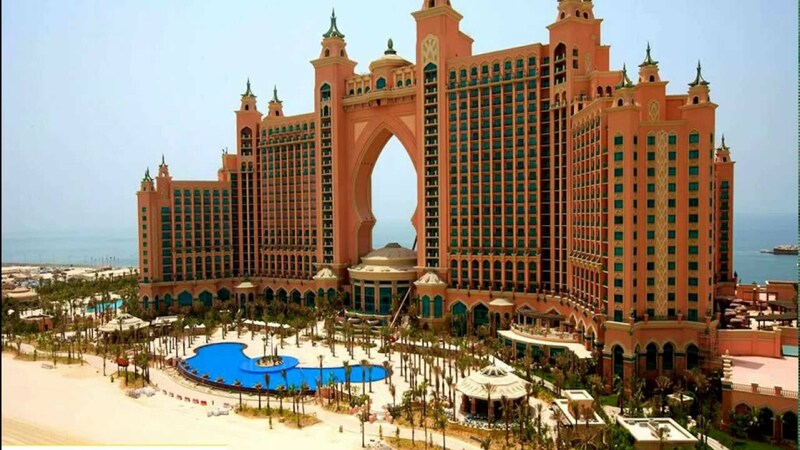 Dubai is well known as the land of sand dunes and sheiks gives amazing experiences for travelers. 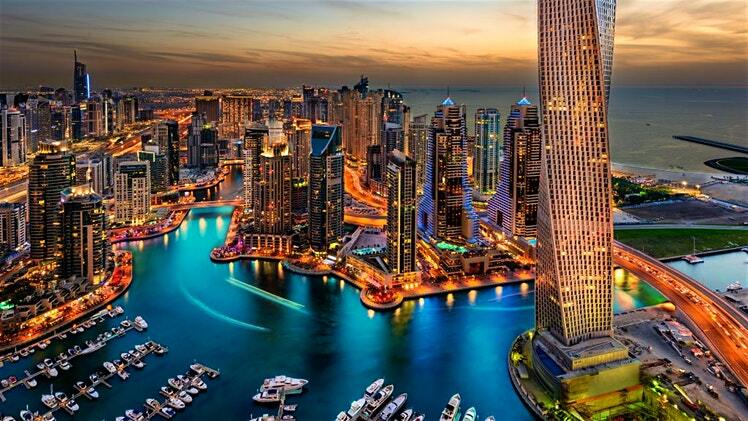 There is a lot to do in Dubai with fascinating man-made wonders. Tranquil in the rejuvenating sea cruise and experience the calm waves that will refresh your day and gives rest to your stressful life. 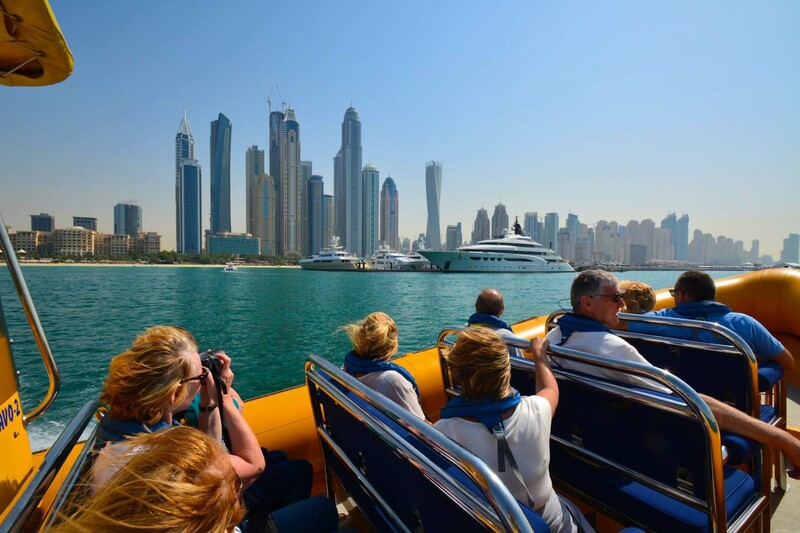 Witness the royalty in the world-class cruises watching splendid attractions of Dubai. 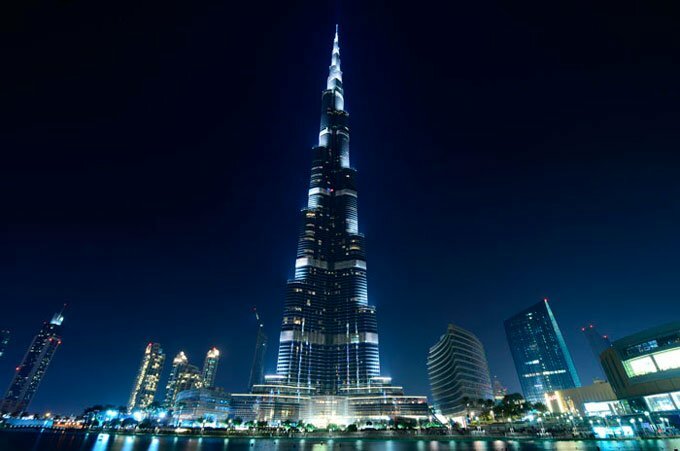 The world’s tallest tower Burj Khalifa is another pearl to the city and visitors can absorb immensity of Dubai’s growth during the past 15 years from the top of the building. The visitors can view the rolling dunes of the Arabian Desert and the shimmering waters of the Gulf. 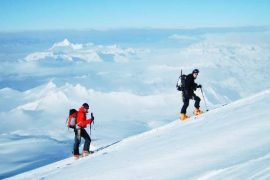 It’s not only about reaching the top for some eye candy, either. 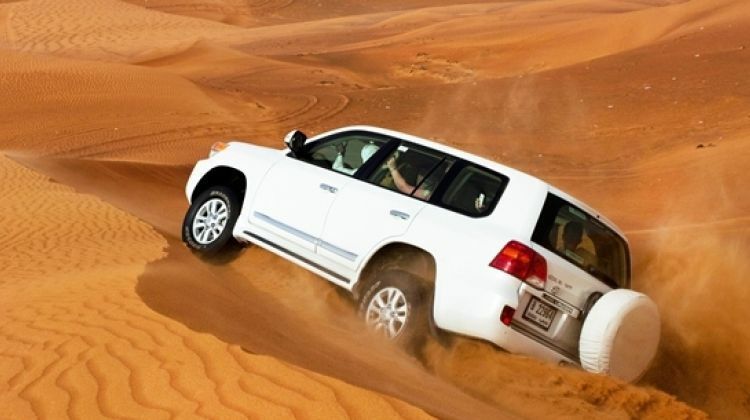 Desert Safari in Dubai is an amazing trip that gives you everlasting experience in the desert. It is one of the few must do things in the modern Arabia. Evening time is the best time to enjoy the desert ride or safari. 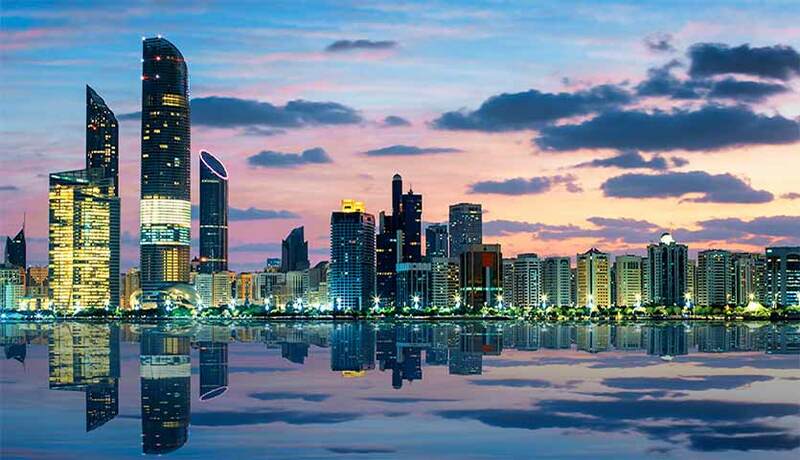 Though Abu Dhabi is not as popular as Dubai, it has many attractive places to visit that are worth deserved. 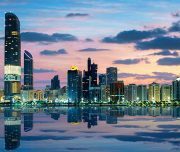 Among many places, you can visit some well-known places that include Grand Mosque also called Sheikh Zayed Bin Sultan Al Nahyan Mosque, Emirates Palace, Yas Island and more.